Ahahaha! I love how you through out those sponsor hints! I know Silhouette Cameo was looking for craft bloggers a few weeks back for their newsletter. Maybe Cricut does is too? Never hurts to give them an email to ask! Your egg holder is cute, bird turds and all :) You are definitely ready for Easter! 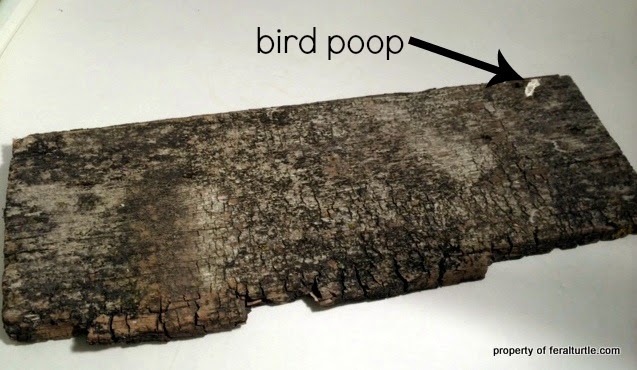 You know you might be able to start your own line of bird doo products... go up against ASCP and all the others. Yet another totally awesome Pysanky holder and very clever wording. Too cute!! Very cool Karen! I love anything made with barn wood! Poop and all...it's a great project! No eastery spiders with big ears?? Bird poop is the best part... More patina than Annie Sloan. Hey, we should start a brand. I'm beginning to collect bird poop tomorrow morning. We are going to be rich!!! I had a long day, please, let me dream! Love your sign! We have no shortage of bird poop in the summer. Somehow it seems to disappear in the winter... all that snow camouflage. I may have to leave some pieces of barn board out in the yard when warm weather comes and let the birds have at them. Bird poop....right...I have lots if you need some more. :) Every project needs a little bird plop.